I write about food a lot on this site, but with good reason. I firmly believe that it’s the most important aspect of the travel experience, forming some of our strongest memories through taste and smell. It’s also the fastest way to learn about a new culture and what the people value. More than anything else though, it’s just a lot of fun. There’s nothing better than snacking your way through a foreign market, or tentatively ordering a meal, not quite sure what you’ve gotten yourself into. It can be adventurous, sometimes disastrous but almost always rewarding. Earlier this year I did a half-term list not too dissimilar form the post here today, but since we’re finally at the end of 2016, I thought it was time to share some of my most important travel food experiences of the year. More than just nice things to eat, in many ways they came to define entire cities, towns and even countries and created a lot of fun for me along the way. Never one to shy away from fried bread in any form, I was excited to learn more about the local version on a trip to the province of Newfoundland and Labrador in Canada. Like all great traditional comfort foods, toutons are simple but delicious. Bread is pan fried, served with butter along with thick molasses that is then drizzled over the bread. When served fresh and hot with a generous helping of molasses, there’s nothing better. Like most national cuisines, the unique history of Finland still in large part defines traditional food culture. Centuries of intensely cold winters and remote locations means that meats, hearty stews and anything preserved were the go-to staples in Finland. I experienced this almost immediately when I sat down to my first lunch in Rovaniemi, the capital of Finnish Lapland. Fish stews and plates of reindeer served with mashed potatoes and lingonberry jam were the popular choices. I didn’t know it at the time, but on that table were some of the most iconic plates in traditional Finnish cuisine. They’re also flavors I became very familiar with, at least in the northern part of the country, finding variations of reindeer filet and stews at almost every meal. I like to think that I’m a connoisseur of great comfort food, which is why I was fairly surprised that this iconic Philadelphia dish hadn’t yet made it onto my radar. We all know the great Philadelphia cheesesteak, but the roast pork sandwich may be even more beloved by Philadelphia residents. The sandwich has decidedly Italian immigrant influence, like so many of Philly’s great bites, and also like any great comfort food dish it’s incredibly simple. The tasty meal consists of wet, thinly sliced roast pork on a hoagie roll that is served with provolone cheese and greens, normally broccoli rabe. As a Southerner, I’m well practiced in consuming pork in any number of ways, but after my first bite into this massive sandwich I was surprised. I’m definitely used to pulled pork being smothered in BBQ sauce and while at first the sandwich seemed a little bland, I quickly began to appreciate the juicy taste of the pork itself. 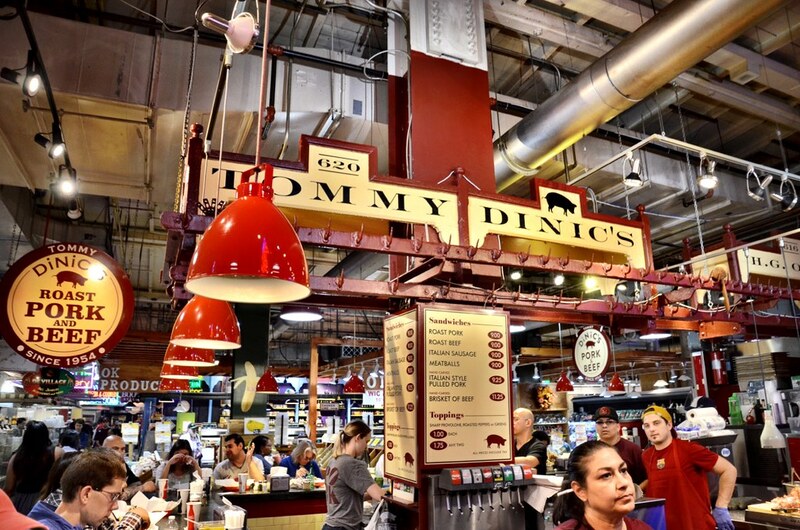 It may have been my favorite bite during my time in Philadelphia, and watching the pros at DiNic’s carve up the meat to order was almost as joyful as the sandwich itself. While Hong Kong may seem like a city that’s in a constant state of reinvention, there are still some more old-fashioned establishments hidden around town, especially the classic Hong Kong coffee shop. These small diners have been the center of local neighborhood life for decades and while they are slowly disappearing, there are still some where you can go and enjoy an afternoon pick me up. Joined by a local tour guide, we ordered a pretty typical snack selection and one that I still think about now, months later. Sweet milk tea, made with condensed milk, fresh egg tarts, a BBQ pork bun and Hong Kong Toast, a delicious slice of toasted bread lathered with peanut butter and finished off with condensed milk. It sounds odd, but it was delicious in a way that only homey food can manage. And just like a traditional Hong Kong coffee shop experience, friends of my tour guide quickly joined us, an unexpected but welcome surprise. That’s the true essence of these cafes and why they’ve meant so much to so many people over the decades, for the friendships made and sense of community that can only be created over tea and snacks. If you’re a regular reader of the site, then you know that I have a robust sweet tooth. Dessert is my favorite course of any meal, but I’m also easily won over by pastries, donuts and anything else that will satisfy my fierce sweet tooth. I knew that Swedes feel the same way, which is why I was especially excited to discover some new desserts when I was in Stockholm earlier this year. Visiting a neighborhood bakery, I discovered the semla. 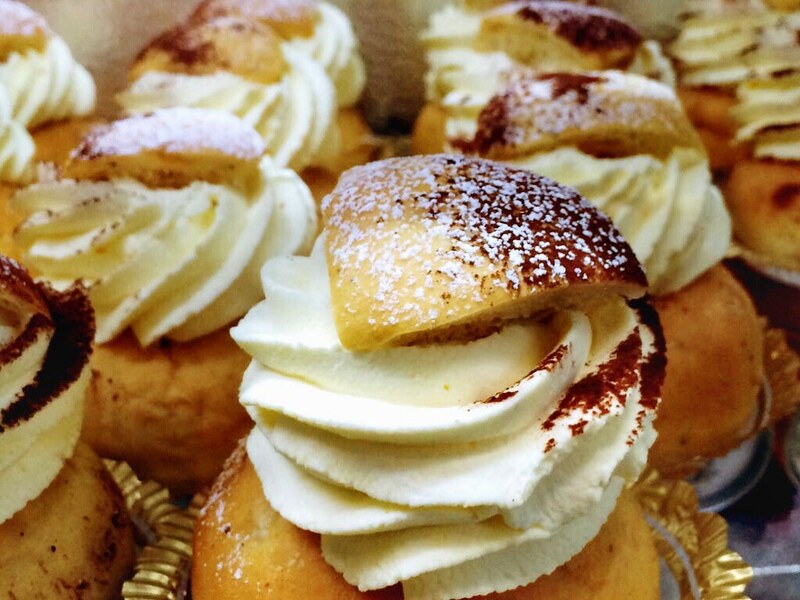 This small bun is flavored with cardamom and filled with almond paste and whipped cream and is one of the most popular, and traditional, pastries in Sweden. They started as a tradition the day before the start of Lent, but have quickly turned into a year-round delicacy. I’m very much a steak and potatoes kind of guy, but in Paris I was in for an elevation of this basic dish the likes of which I could have never imagined. In 1959, Paul de Saurs bought an Italian restaurant in the 17th arrondissement as a way to sell his family’s wines. He kept the decor, added the word “L’Entrecote” to the front and decided to serve a no-frills, no-choice menu. The rest, as they saw, is history and today the legendary Le Relais de Venise L’Entrecôte is still packing in crowds night after night. Luckily for me, it was near my hotel which made for one of the best happy accidents I’ve enjoyed in a long time. The only choice dinners have is how they want their meat cooked and then the wheels are set into motion. After a tasty green salad with a homemade mustard vinaigrette it was time for the star of the show. Entrecôte is simply a premium cut of beef that is then sliced thinly and served with a special sauce. The unique sauce at de Venise is a well-guarded secret, but was so tasty I wish I could bottle it. When served with crunchy french fries, the magic is complete. Seconds are served to everyone and then diners finally have a choice, they can choose from a bevy of freshly made desserts. The total experience was just that, an experience, rare to find but fun to enjoy. I’ve never met anyone who knows as much about donuts as the owners of the small but locally cherished bakery, Delicious Donuts in Lake Charles. It was a Saturday morning when I squeezed through the door, the small shop doing a fierce business on one of its most popular days of the week. Immediately I could see why. The sugary smells of freshly made donuts filled the air and in the display cases were any number of donuts ranging from basic glazed to more festive versions. I have eaten a lot of donuts in my life, but after taking my first bite into the glazed donut at Delicious Donuts I knew it was something special. A proper yeast donut should have a light ring around the middle and melt in your mouth almost immediately. 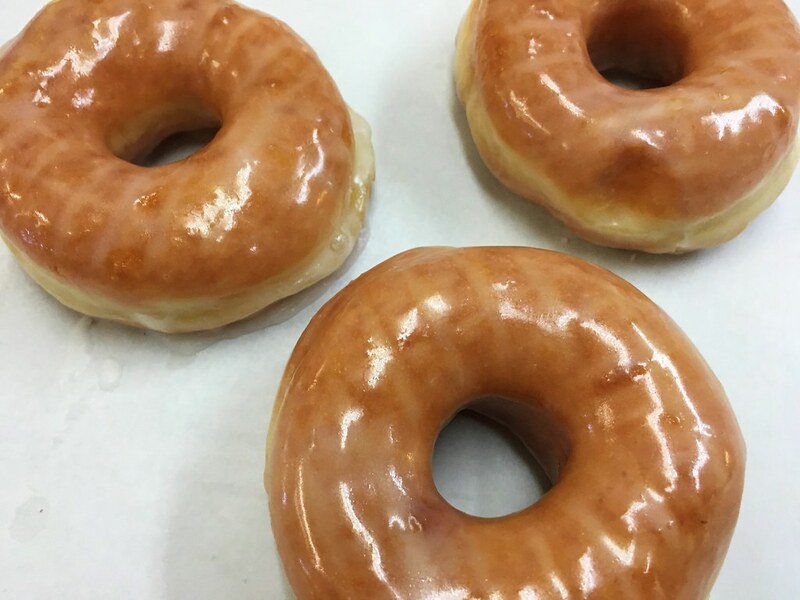 Spending years baking and studying donuts around the country, the owners here have done something I thought impossible – they have created the perfect donut. It was all I could do to keep myself from eating the entire batch and that one bite was so good, I honestly can’t stop thinking about it. My favorite meal is breakfast and there are few things I enjoy more than morning time meals either in the UK or in Ireland. The traditional full Irish Breakfast is naturally a little different from its British cousin though, and during my trip to Ireland I became well acquainted with it almost every day. This large and hearty style of breakfast has very rustic roots, originally meant to fortify laborers for a long day of work. Although most of us aren’t farmers today, we still enjoy the large and complete meal that only a traditional Irish Breakfast can provide. While I did notice some variations on it and definitely heard some varying opinions, at its heart the breakfast should include: eggs, beans, meats like bacon or sausages, white and black puddings, potatoes, vegetables (usually tomatoes), mushrooms and Irish soda or brown bread. These are the core ingredients but other items may be added or omitted based on your family or where you live. Regardless, it’s delicious and definitely filling, usually allowing me to skip lunch entirely. This is one of the most touristy meals out there, but it’s famous for a reason – it’s delicious. Sure you can find Wiener Schnitzel (which means schnitzel from Vienna) just about anywhere, but when you’re in Vienna one of the best places to enjoy this traditional delicacy is at Figlmüller’s. Located near St. Stephen’s, the chefs at Figlmüller’s have been creating some of the best versions of Austria’s national dish since 1905; so it’s safe to say they know what they’re doing. The schnitzels are made from the best cuts of pork and extend well past the edge of the plate – a massive 11 inches in diameter. Still, I found myself devouring this classic dish in no time; it was light, crispy and delicious. You can enjoy schnitzel anywhere, but be sure to try it at Figlmüller’s who really can be credited with transforming this popular dish into the culinary event it is today. Chengdu is known for its spice, but it’s also famous for a very particular way of cooking – the hot pot. I like to think of the Chinese hot pot as a type of fondue. There are specific hot pot restaurants, and each table in them is equipped with inlaid pots and cookers, just like at fondue restaurants I’ve been to here in the States. I was led through this process by new friends I made, eager to show me the proper way to enjoy this iconic dinner. The hot pot process though is fairly simple. Diners select the meats and vegetables they want to cook in the pots along with the type of stock. 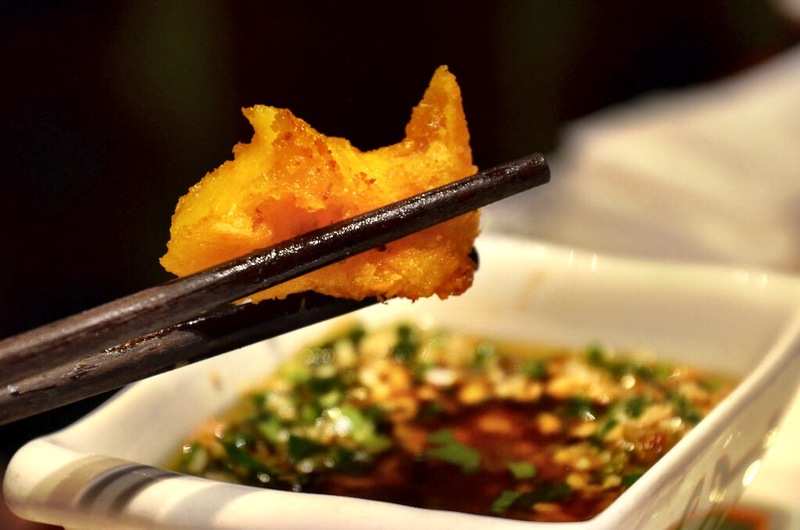 In Chengdu, this means a broth that is literally teeming with those famous red Sichuan peppers. It was an easy process to learn, dropping the meat into the simmering broth, waiting for it to cook, removing it and lightly dipping it into oil to remove some of the spicy heat before eating it. It was a fun experience but a spicy one, more than once tears welled up in my eyes but I loved the dinner. Hot pot is about the great food, but it’s also about the camaraderie, the conversation and being together with friends. Being in that restaurant, clearly a local and not a tourist favorite, I felt like I had been let into a secret, another piece of the puzzle in understanding the city. This is a serious topic, what kind of pizza your family enjoys is a big deal, at least it is in my household, where the foldable New York-style of pizza wins the day. While I do love a giant slice from the streets of New York, as soon as I saw a photo of Detroit-style pizza, I knew I would fall in love pretty quickly. So what makes Detroit pizza so unique? Non-Detroiters would probably call the square shaped pies a pan pizza, which it is. Ordered by how many squares you want (4 or 8) the pizza features delicious, slightly burned buttery crust that I could eat on its own everyday and be a happy guy. The pizza is cooked in square pans and the sauce is baked over the cheese. Originally started at Buddy’s Pizza in the 1940s, the style has spread far and wide throughout the city and even beyond. Of everything I enjoyed in Detroit, this is the meal I find myself thinking back to again and again, wondering when and where I’ll be able to enjoy this classic meal again. Germany’s regions are famous for their own special meals and dishes, unique to individual cities and towns and are an important aspect of learning about the culture when traveling in Germany. Trying these new-to-me dishes is something I always enjoy doing in Germany, and while in Bremen that meant ordering up a plate of knipp. 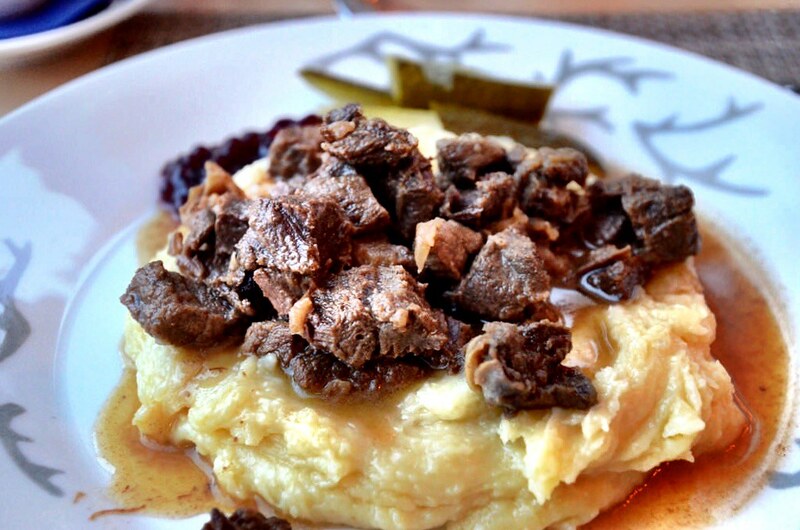 Like most local delicacies, knipp has very humble beginnings, a way to use leftover meats from other meals. Over time, this concoction made of an assortment of meats, oats, seasonings and other bits has turned into a wintertime tradition in Bremen, usually served with applesauce, potatoes, pickles and of course bread. I’m a creature of habit, every morning I start my day with fruit, granola and yogurt and keep that routine wherever I go. In Iceland though I discovered a variation on my daily breakfast and it’s a super food that is about to take the world by storm. An ancient dish, skyr has the consistency of a traditional yogurt but is much more mild in flavor. It’s also ubiquitous, found everywhere at almost any time of day. That’s because in Iceland skyr isn’t only relegated to the breakfast table, it’s enjoyed throughout the day, most notably as a dessert. 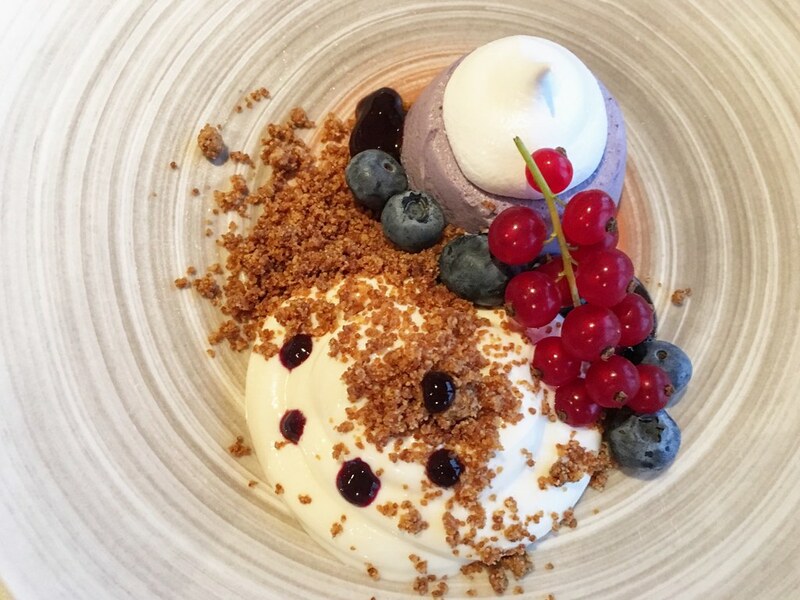 Almost every restaurant I visited in Iceland had some sort of skyr concoction following dinner, usually served with fruit and always delicious. Skyr is also intensely healthy, it’s high in protein and low in fat which is why I think it’s about to take over the health food world. I actually first discovered these amazing desserts while in Budapest a couple of years ago, but in Prague they are the star of the culinary Christmas market scene. 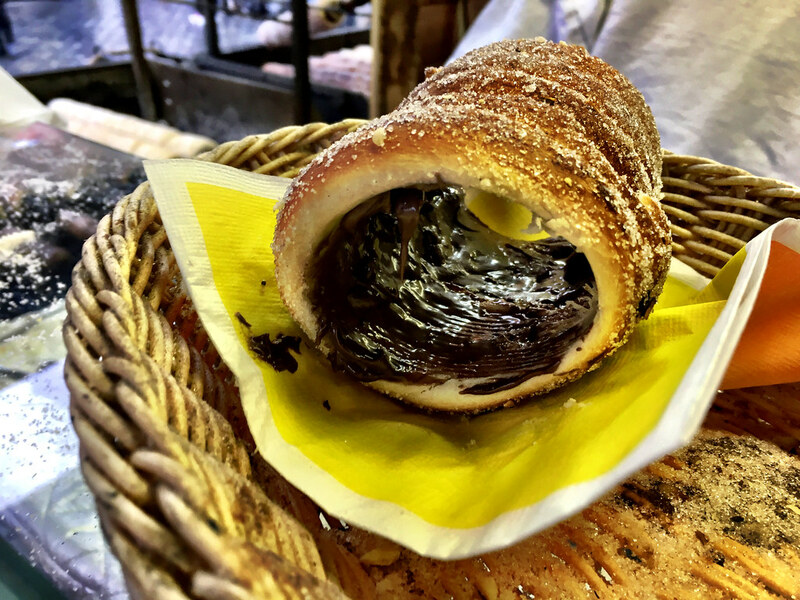 Made from sweet yeast dough, the cake starts off as a strip that is spun and then wrapped around a cone–shaped baking spit and rolled in granulated sugar. It is baked on a charcoal grill while doused with melted butter, until its surface becomes golden-brown. During the baking process the sugar caramelizes and forms a shiny, crispy crust on the cake. Made to order, the cakes are served up hot and the steam rising up looks just like a chimney, hence it’s nickname the chimney cake. In Prague they are served plain or with any number of add-ons, the best of which is Nutella. I had never even heard of Welsh Cakes before my 2016 visit to Wales, but they quickly became the star food attraction of my time in the region. For the uninitiated, Welsh cakes are simple, scone-like flatbread cakes made with flour, butter, eggs, milk and usually dried fruit like raisins. They’re typically eaten alone, at tea or as a snack and I found them everywhere while in Cardiff and southern Wales. When served hot, they’re good but if they’re even a few minutes old, I found myself looking for jam or butter to cut through the dryness. While I discovered many great places to buy them, my best experience with Welsh Cakes was learning how to make them myself. Located in Abergavenny, the Culinary Cottage is a cooking school run by an enterprising local who has made food her new career. We made an entire meal that day, but for me the Welsh Cakes were the most fun. Rolling out the dough and cooking them on the hot bakestone was fun and even relaxing and I can’t wait to make them for friends at home. What’s been your favorite food discovery of the year? That is a lot of food that I want to eat the heck out of in 2017 … thanks for the inspiration! Just wait until you try Peruvian food. You will not know which dish is your favourite!! !